Luxury real estate in the city of Savannah covers a multitude of different properties. This charming coastal Georgia city has a famous Landmark Historic District and is close to so many different waterways giving luxury home buyers seemingly endless options. From picturesque southern mansions surrounded by other historic homes, churches and monuments built in pre-revolutionary days to modern waterfront homes with gated communities full of amenities and your own private dock. Savannah’s Historic District is right in the heart of downtown and allows you to be in the center of the city’s action. Savannah is a large historic place that holds on to its classic southern small town charm while still being host to a number of world class events and major celebrations. Homes here are definitely high end and highly sought after. If you choose to purchase a home in the historic district you are making a smart choice as they tend to retain their value better than other areas. 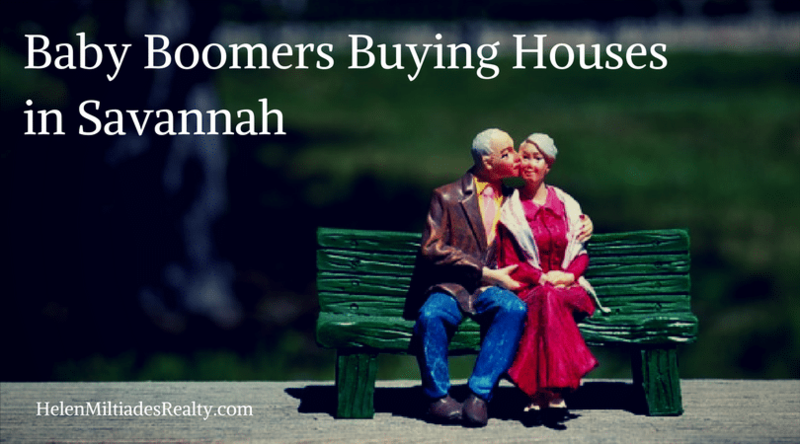 If a newer home with modern amenities is more your style Savannah has those too. Neighborhoods like The Landings offer beautiful homes and a range of community amenities to support an active outdoor and social lifestyle. Whatever type of luxury property you are looking for mansion or estate there are a few tips you will want to know as you seek to find that perfect Savannah home. While there are a few properties listed in the MLS and accessible through an Internet search many luxury properties are not listed or have an “undisclosed” location. This is because luxury estate owners want to maintain a level of privacy and will only entertain serious buyers on their property. The best way to learn about all of the available properties that meet your search criteria is to meet with an experienced local luxury real estate agent. Luxury agents have connections to other luxury agents and know where to look for listings. This is the best way to find a luxury estate or mansion for sale. As mentioned in the first tip a luxury real estate agent who works in the very area you are looking to buy will be your greatest help. The local part of agent can’t be stressed enough. Local realtors know the area and the neighborhoods specifically and help you find the perfect location to suit your needs. Make sure to review the title insurance especially with a classic historic Savannah estate. When purchasing a high end property you want to be sure you are protected against any problems that may have gone unseen or were neglected over the years. When looking at luxury homes especially in breathtaking Savannah it is easy to get swept off your feet. This is a big purchase and you want to be sure the home doesn’t just take your breath away but it also meets every functional need for your family now and later down the road as you grow and change for as long as you plan to own the property. You will also want to consider resale value versus how much you are paying for the home. You don’t want to make the mistake of overpaying for a home now only to sell later and make little to no money. If you are looking for the perfect Savannah Mansion or Estate we are here to help you find it. For more Savannah luxury home buying tips feel free to browse our website or contact us at anytime! Spring Lakes is a subdivision located in Pooler Georgia just off Benton Boulevard north of Jimmy DeLoach Parkway. This cul-de-sac Road along Spring Lakes Drive breaks off into several smaller Lake drives such as Crystal Lake, Verano Lake, Lakepointe Drive and Millwood Lake. These homes were built around 2012 by Landmark 24 Homes. This is a collection of single-family homes and two-story townhomes with resort style amenities such as a swimming pool, cabana and walking trails. Nearly all homes are two-story with three or four bedroom floor plans, 2 to 3 bathrooms and between 1500-3368 ft.². All single-family homes have a two-car garage and townhomes have assigned parking spaces with ground-floor entrance and private doorways. Townhomes are located off Winter Lake Circle on the north end of the community with prices around $110,000. These two and three bedroom townhomes feature about 1340 ft.² with homeowner’s dues roughly $40 per month covering all building maintenance, landscaping and limited insurance. Single-family homes are priced from about $163,000-$248,000 based on size and condition. At any given time there are roughly 5 to 10 properties for sale in Spring Lakes. There are numerous lakes and man-made ponds all surrounding this community with the primary one being at the entrance with a swimming pool, clubhouse area and playground right on the shores of its own small Lake. There are a few homes at the entrance but most of the community sits further back from Benton Boulevard. This community is not gated. Residents are about 10 minutes from downtown Pooler and about 25 minutes from downtown Savannah Georgia. This is not a walkable community and is primarily car dependent. Shops, restaurants, markets and banks are all within about 10 minutes from this location. Residents of Spring Lakes utilize the Pooler school district and are served by the newer Godly Station Elementary and Middle School and the new Hampstead High School. For more information on the homes for sale in Spring Lakes, please contact me anytime for a customized list of properties currently on the market. As a professional in Pooler, I know the area, the homes and how to negotiate for the best price. Highland Falls is a fairly new home collection located in Pooler Georgia just off Highlands Boulevard along Sedona Dr., Redwall circle and Winslow circle. These homes were built over the last 10 years and many feature three or four bedrooms, 2 to 4 bathrooms and between 2000 and 3000 ft.². These elite luxury homes offer a variety of amenities with construction primarily brick built by Mungo Holmes; these are highly desirable properties ranging from about $250,000-$375,000. These all brick homes offer floor plans designed for today’s lifestyle. Within the community there are five different floor plans and the neighborhood offers several distinct amenities. These homes have energy efficient construction, granite countertops, hardwood floors, custom cabinetry, cultured marble and crown molding. The community at Highland Falls offers a clubhouse to its residents and guests for parties, get-togethers and meetings. The neighborhood has several walking trails surrounding beautiful lagoons and nature spaces. There’s a fitness center perfect for working out in the morning or the evening as well as tennis courts and a resort style swimming pool and hot tub. With lots of green space, you’re sure to feel like you’re in a mature, landscaped environment even though the property is less than 10 years old. Most of the homes are two-story with larger estates ranging up to 4700 ft.² and priced to about $400,000. These homes are all hauSmart certified. This means that the properties are healthier for the environment and cost less to operate. Mungo Homes offer air barriers, water saving features and faucets, low formaldehyde cabinets and low volatile organic compound paint and carpets. Residents of Highland Falls utilize Savannah and Pooler school districts and are assigned to the Godly Station School, the South Effingham Elementary and the South Effingham high school. The schools receive excellent scores by great schools.org. Homeowners in Highland Falls are required to pay monthly homeowners dues about $110, covering common area maintenance, amenities, road maintenance and reserves. To learn more about the Highland Falls neighborhood or for a complete list of properties in this neighborhood please contact our office at any time. I would be happy to send you a complete list of properties of this neighborhood or similar properties around the Pooler Georgia area. Looking for someplace special to eat in Pooler Georgia? Here’s our top 10 best restaurants in Pooler and what to have at each. Naan Appetit – This restaurant get some of the best reviews in the area. This Indian inspired restaurant features a wide range of vegetarian and carnivorous options. Authentic cuisine, Naan Appetit is open for lunch and dinner every day but Monday. Famous dishes include the chicken vindaloo, tiki masala and fantastic naan and roti bread. Splendid Shabu – a great combination of Chinese, hot pot and Asian fusion, this unique restaurant lets you build and customize your soups and hot pots to your liking. From simple and classic to spicy and exotic, Splendid Shabu delivers excellent option with a wide range of vegetables, sliced meats, tofu and seafood. If you are picky about what you like to eat, the customization at this place is to die for. Also, make sure you try the bubble tea. Pie Society – This is more than simple Apple or cherry pie; these are savory pies such as steak and mushroom pie, chicken and thyme pie and delicious cheese, potato and onion pasty. Joe’s Pizza – This pizza joint tops the list is one of the best pizza places in town. Tasty garlic knots, unique needs such as shrimp Caesar salad and four cheese white pizza with broccoli are always excellent choices on the menu. Los Bravos – For Mexican food, check out Los Bravos with tasty and creamy avocado fajitas salty and sweet margaritas, chicken spinach chimichangas smothered in delicious cream sauce and the unique stuffed avocado with either steak or chicken wrapped in cheese, rolled in breadcrumbs and deep-fried. Sushi Hana – If you’re looking for great sushi options, this is it. Of course, there’s always something for the non-sushi lover such as Yakisoba with chicken and delicious veggie dishes. They have traditional roles such as the spicy tuna roll and salmon hand roles that they also have unique sushi and sashimi options with delicious miso soup and crispy pork potstickers. Wasabi Fusion – This compares very nicely with Sushi Hana offering up delicious tempura fried rolls, fruit sushi and even dishes such as fried softshell crab, monkfish liver and a great bar atmosphere to tell the sushi chef exactly what you want and when you want it. FATZ – This great local restaurant offers a wide range of American fare from delicious Gorgonzola topped ribeye steaks and sautéed asparagus to down-home cooking hamburgers, grilled chicken and healthy salad options. Great option for lunch or dinner. Molly MacPherson’s Scottish Pub & Grill – With three locations around the area including Savannah and Richmond Hill, this unique pub features a wide range of brews and spirits on tap, a pub shop, and authentic Scottish fair such as meat pies, scotch eggs, mac & cheese bites, bangers and mash, shepherds pie and fish and chips. With so many unique options you’ll want to visit more than once. And save room for sticky toffee pudding or Molly Scotch cake, a triple layer orange and whiskey cake with orange, honey and Grand Marnier butter frosting! Good grief! Cheddars – With more reviews in just about any restaurant in Pooler Georgia, Cheddars is the hometown favorite everyone seems to love. Simple, not fussy and local fare such as onion rings, chicken mac & cheese, loaded potato skins and New Orleans pasta and chicken and shrimp. From ribs to steaks, fish tacos and homemade chicken pot pie, this is as close to home as you can get. Stay tuned to our blog for more information about the Pooler Georgia area or if you’re interested on relocating within or to Pooler please contact me at any time.